In northeast Nigeria, Niger, Somalia, Ethiopia, and South Sudan, severe drought and intensifying conflict have left over 20 million people at risk of starvation. Millions of those threatened by famine are children. The Government of Canada is responding to this crisis by supporting humanitarian partners like SOS Children’s Villages, and is helping Canadians to take action against the famine through the Famine Relief Fund. Every donation made by individuals to the Famine Relief Fund through SOS Children’s Villages Canada until June 30, 2017, will be matched by the Government of Canada. SOS Children’s Villages is taking a lead role to provide child protection, health and nutrition and critical Non-food item (NFI) assistance to more than 160,000 vulnerable women and children affected by the crisis in the region, by 2018. In consultation with members of the affected community, and in coordination with other humanitarian organizations, SOS is addressing key needs in the most severely impacted communities in the region. Child Friendly Spaces – Offering children safe places to play, and psychosocial support and protection for child victims of gender-based violence, abuse and exploitation. Identifying, Documenting, Tracing and Reunifying unaccompanied and separated children, in collaboration with local partners. Educational Assistance – Providing informal educational activities to children, and offering training to teachers on psycho-social approaches. Provision of Nutrition assistance – Screening and treating cases of malnutrition amongst vulnerable populations. 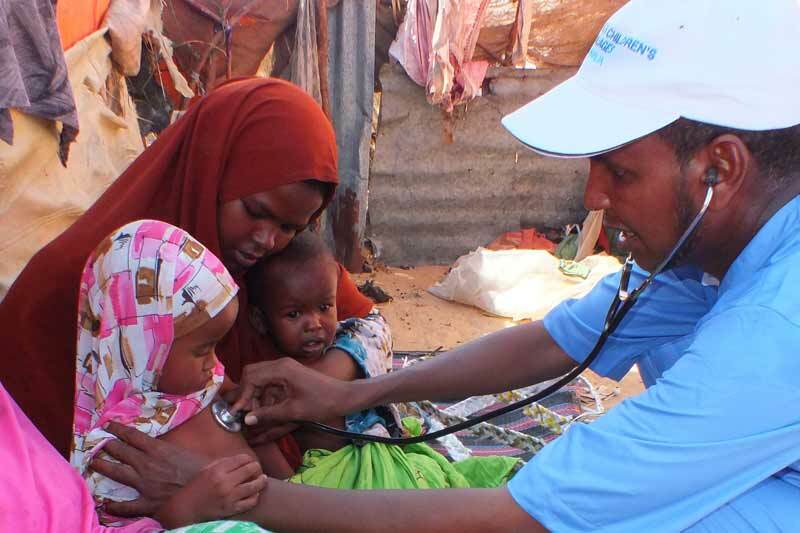 Heath assistance – Building the capacity of local health facilities, setting up mobile health clinics in IDP camp sites, and promoting UNICEF’s best practices for infant and child feeding in an emergency. Sudden on-set emergency support – Providing non-food items to the most vulnerable children and women-headed households, including blankets, mats, clothing, covered pots and tarpaulins, alleviating suffering and maintaining the human dignity of crisis affected populations. A mother and her malnourished daughter at the Diffa Center for Outpatient Nutritional Rehabilitation for Malnutrition (CRENAS), Niger. Help us to support the most vulnerable affected by this famine. Donate to the Famine Relief Fund.